**We will close the SNS rooms at the time of composing that requires concentration. 様々なインターネット投稿サイトを通じて、主に英・米国のボランティア団体、映画音楽、ＣＭにオリジナル曲を投稿しております。Through various internet contribution sites, we have originally posted original songs to volunteer groups in the UK and the US, movie music, CM. What birds mean?? head a beautiful color! 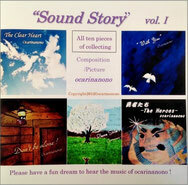 音源の試奏可能　↓CDの写真をクリック！Click on the photo ~ the sound source! ↑ click Please listen it! 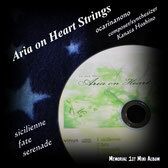 First CD of vision of synthesizer and Ocarina collaboration group name was released in 2012 "Heart Strings" "Aria on Heart Strings" it was this time again release. A rare tone of Ocarina of classic system By all means, please try to hear. In addition, you can hear in the songs free at Radio airplay. 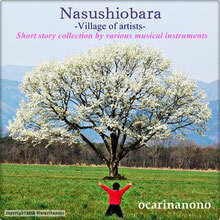 ocarinanono is the image song of the galleries and shops of Nasu area you are living. 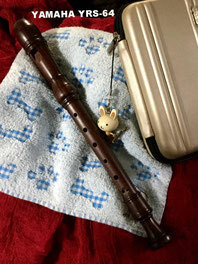 Melody has been played by the instrument other than the CD in the ocarina. 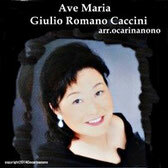 ocarinanono is the Ave Maria of Caccini which arranged. Ocarina is a solo. Please listen to the tone of the moist and classical ocarina. ←click You can listen to"The Heroes"
←click You can listen to "The Ｌólmo time". Radio AirplayのSummer Song Contest 2018にエントリー中！!(^^)! 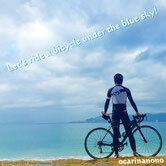 "Let's ride a bicycle under the blue sky!" 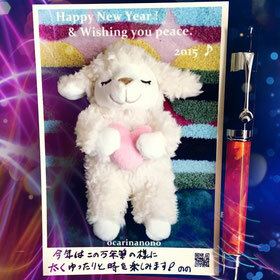 It's a cheerful song that I made earlier this year New Year's Eve so please try listening! The jacket is a picture, made by my 1st son in Okinawa. Last year the original song "For The Dearest" remained in the final round, but this year I am planning to apply for songs I'm composing now at International Songwriting Competition 2018. I submitted the original song "The Heroes" to International song wrighting conpetition 2019. 7.10.2018 I submitted to "unsigned only music competition" my song"The Ｌólmo Time". 未☆2 2019 album "Favorite classical musics sellection vol.1"by ocarina. will be released by ocarina in 2018.
album"Fun Wings" will be released by ocarina. ジャケットは沖縄！by HIROKI, my 1st son! album "Favorite classical musics sellection vol.1"
A new instrument has been added to the performance of ocarinanono. 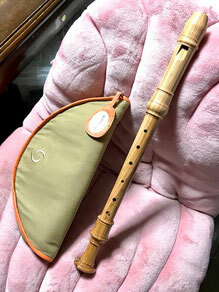 This Alto Recorder was selected by the recorder star Ms. Michala Petri. Very high tone is beautiful. I got it at the Ginza Yamaha store. 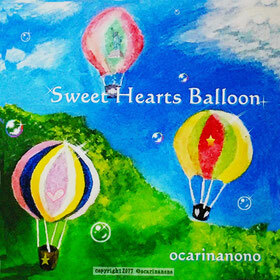 This email is to let you know that your song, "For The Dearest" written by ocarinanono, which was entered into the Instrumental category, has officially been reviewed by the listening committee of the 2017 International Songwriting Competition. Please be aware that if you have entered multiple songs or the same song into multiple categories then you will receive a separate notification for each one. 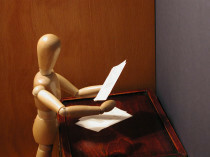 These may also come at different times as the competition progresses, so do not be alarmed if you don't receive all of your confirmations at once. and to keep them updated on the process of the competition. also be posted on the ISC website. Thank you for your participation and we wish you all the best in your musical endeavors. NOTE: The radio program of ocarinanono has become unable to continue because the master 's radio station suddenly gone. Let's meet again in other places. Program name "I love you the most...by ocarinanono "
"Let's ride abicycole under the blue skay!" 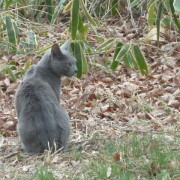 happiness of the whole creatures of the earth. 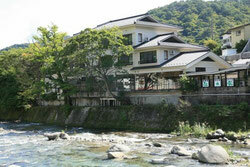 In Nasu St. Michel Church on April 2 - 3 daysExhibition of Nasu artists, craft fairs took place. Being held, there was also ocarina playing by ocarinanono, the organ playing. from September 2015. It is a music publisher in Grenada in the Caribbean Sea which became the scene of the movie "Pirates of the Caribbean". Birthplace of the land of the coming "Calypso" out in the movie. Wonderful nature and city scapes of scenery, I am I am very pleased to can edge to historically very deep nice country. To give this opportunity the world of music of ocarinanono and I think I want to feel better around the world. Happy New Year !The new year do you want to what year? I would like to in the year when people around the world will lead get along by art. The　stream is an animation. . .”The Heartwarming time by ocarinanono"←click On the original piece of music of ocarinanono I send various information. 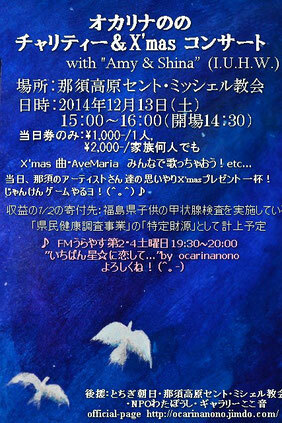 It's a collaboration, various tourist attractions/information of shops with ocarinanono's original piece of music. When you go to Nasu, refer to it! In 2014, what kind of leap is possible this year? . It became the new start as indies in this June! I look up at the blue sky and want to send this tone to people of the ... world on the carpet of the cloud, and is ～♪♪♪～ !p(^^)qゞOK, the beginning of story by my tone, it is begun! ! The main activities of the NPO-Wataboushi that I had been the President from 1999 to 2015 is visually impaired support of pharmaceutical information, expansion of the display of diabetes for injection, the form of eye drops, color due to discrimination implementation, was the other. Through the adjournment of the earthquake, since 2014, based on preventive medicine, and working to improve the issues related to transfer improvement of generalization and medical information of thyroid examination, we closing in 2015 after finishing a role. 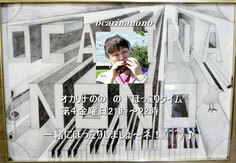 ocarinanono is a composer & ocarina・keyboard player. All the jackets are one's own acrylic, photographs. 194 pieces as of ... Jun, 2013 full of joys and sorrows! There is a sample sound source in the following link. Is popular mainly on the original piece of music, and is ... such as classical music slightly different from the ocarina to generally hear in a tone; ... Please hear! Because plan delivery up of the own composition in sequence; in fun! 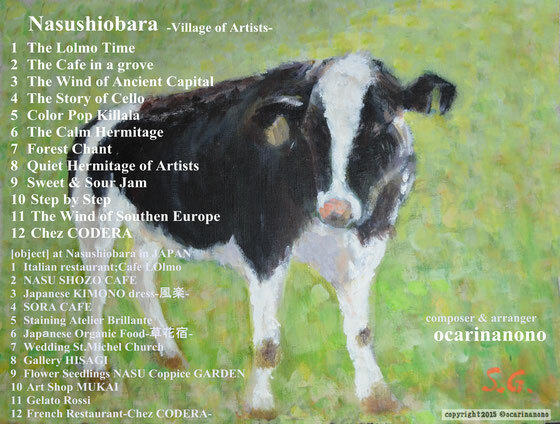 １：2012年7月　オリジナルアルバムリリース”ocarinanono's Sound Story vol.1"
I am going to appear for Shonan ocarina Festival of June 30 with 3rd son. There ware the Japan-Canada association interchange event at Stuart Hall in Montreal in August from July, 2010. I gave a concert in response to a request of the background music of the exhibition of Japanese various folkcrafts. 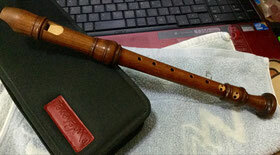 I played classical music and soundtrack, other well-known music with an ocarina. Sep.26.2013　You became able to purchase my 2ndCD "For The Dearest"
in ocarina section 5th floor of Yamano-gakki at 4-tyoume Ginza. i-tunes,amazon,other,distribution companies purchased becomes possible. 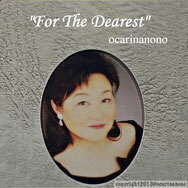 Aug.29.2013　2ndCD "ForTheDearest" was released from CDBABY. The ustream("NASU WAVE" of local Nasushiobara) is an animation. . . 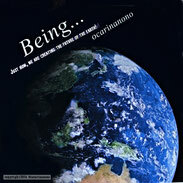 Program name ”The Heartwarming time by ocarinanono"
at Every month first Friday at21:00 (Japanese time) from March 7. 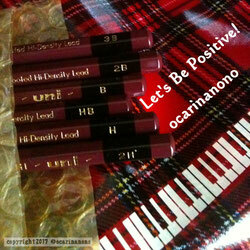 On the original piece of music of ocarinanono, I send various information. I owe "GLOVAL CASTING" from Sep.26, 2013.
ocarinanono reopens live activity again in various places from May 26, 2013. I partocipate in "DAYBOOK",Tokyo Borderless TV, JCV charity Festa. I released first album "ocarinanono's Sound Story vol.1" from CDbaby in July, 2012. It's beginning to sell that is ” CDBABY”. Delivery of it starts in Apple iTunes, radebit,Gret Idie Music,Amazon MP3,Google Music Store. Delivery of the original piece of music starts in i-tunes,amazon from November, 2011. I sponsored NPO Wataboushi , Visual impairment support group. I continue working as a pharmacist now. 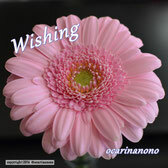 ©Copyrights 2011 ocarinanono　All rights Reserved.